Tortelloni Bolognese sauce from scratch- the perfect comfort food. There’s just something irresistible to a pot of homemade tortelloni bolognese sauce simmering on the stove. Making a good bolognese sauce is a real labor of love and I’ll tell you upfront- this isn’t one of those recipes where you can just dump everything in a pot and walk away. But the extra work of browning the beef and sautéing the vegetables at the beginning is very much worth it. Sure, you could just add some ground beef to a can of tomato sauce and call it good (which I have often done myself) but after you try this.. you will never cheat yourself out of the rich meaty flavour ever again. A very easy and great tasting pasta dinner to serve to the family on those busy weeknights. Heat olive oil in a large pan. Add celery, carrot, onion, garlic and saute about 5 minutes. Add meat and cook 10 minutes over medium heat, stirring occasionally. Deglaze pan with wine; let reduce. Add tomatoes and remaining ingredients and stir. Simmer for about 1 hour. Toss hot, drained pasta (we used tortelloni but you could use any pasta) in sauce. Top with Parmesan cheese. Serve immediately. Serve this with a salad and warm bread. This is the kind of dish that you can make in vast quantities, jar up and save for a busy weekend. The kind of dish that I’ll taste for seasoning, then taste again, then again, and perhaps one more time to be sure. It’s just that good. What’s your favourite go to pasta dish? « 5 ways to raise healthy kids. This sounds so great! I just love all types of pasta dishes. I haven’t tried this sauce before but it sounds absolutely delish! I’lll have to pin this to try later! This sauce sounds divine! I pinned this to make when we have family over in a couple of weeks ! Thanks! Great recipe, a few substitutions and this could be made vegan so thanks for the inspiration! I might try it soon! This recipe sounds sooo good! Even my picky husband would definitely love this for dinner. This sounds absolutely amazing! 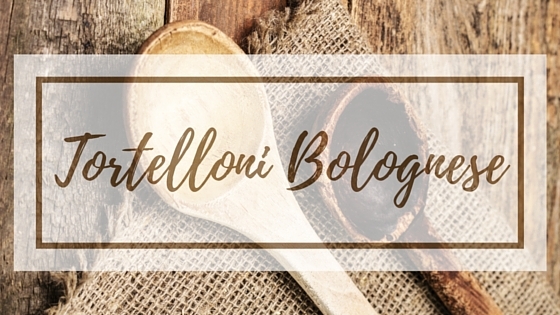 I have never made a bolognese from scratch before, but it is definitely something I want to try now! I have never made sauce from scratch, but this looks so amazing that I’m going to try! This sounds delicious. I am so hungry right now. I wish I had some of this in my fridge. That sounds super yummy. I love pasta so much. I only let myself have it on our Spaghetti Monday nights. I might try this next time. Oh this really does sound delish! I think I might make this sometime next week. I usually love anything pasta but my easy dish is my spaghetti and meatballs. This looks so good. A few little tweaks and I could easily make it vegetarian without changing the wonderful flavor. I am a notoriously bad cook. However, this looks like something I’d love to try. Thanks for the inspiration. 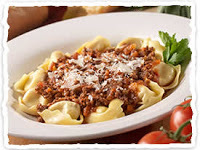 I agree – one must have a fab bolognese recipe in their wheel house! I think my husband married me for mine! This sounds amazing! I love anything with pasta. Carbs are my spirit animal. Tortellini are so delicious. Love Italian dishes. Pasta is always my comfort food, usually gluten free. My husband and I love tortellini! I can’t wait to try it. It looks delish! wow, how cool is this. It’s like having two meals in one. Great idea, will certainly try it. yum yes please! This is definitely my style and will be trying this ASAP. Thanks this is awesome! This looks perfect, I would love to make a Quorn, veggie version. It would be delicious! I totally love bolognese sauce! The recipe is amazing, thank you for sharing! I love bolognese sauce, so this recipe is right up my alley! It sounds delicious. I would swap the tortelloni for a gluten free pasta (so annoying! ), but I’m sure my husband would love the tortelloni! This looks like a recipe my whole family would enjoy. We love tortelloni! This looks delicious! I am going to have to add it to my sauce on Sunday’s recipes! Umm this is making my mouth water! I make my own sauce this would be a great addition to my sauce collection. This sounds divine and I can almost smell it, simmering away! My family would love this, pasta is a favorite over here! THIS is basically my favorite meal! I am totally all Italian with the pasta meals and tortellini is my go-to dish! The bolognese is an added YUM for me for this! Making this asap! My son LOVES spaghetti!! I have a go to sauce recipe but this looks like something I would love to try. That sounds wonderful! What a delicious meal idea this is. I love Italian food. We eat pasta at least 1X a week, this sounds like a great way to change it up a bit! I love tortellini. I haven’t tried them with bolognese sauce before. I’m pinning this for later. It is great to find recipes that feel like home and make you feel good. It is like warm sheets and a soft pillow. This sounds so good! My kids WILL eat pasta, so we should try your recipe! My little one is fussy, too, but pasta is one of his favs, so I bet he will love this. I may just have this for lunch tomorrow when it is supposed to be snowing in April. This looks like a tasty meal! Oh my this sounds delicious. I love a good bowl of pasta with sauce and fresh grated parmesan.